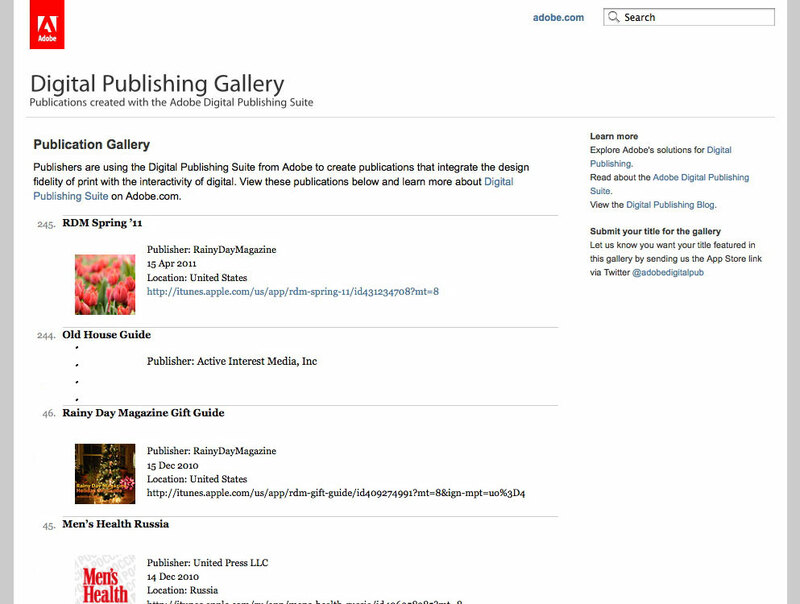 Adobe recently announced that the beta period for their Digital Magazine Publishing tools will end in June. This means that the free tools we used to create the 2010 Gift Guide and the 2011 Spring issue for the iPad will cost $500/month to use. While we love the tools, this is not yet an option for us. We can understand Adobe’s desire to create a new revenue stream with their DMP tools, but we predict that the approach (along with others who are looking to charge a per issue fee) will fail. The failure is not because large publishers won’t pay, but that other toolmakers will provide a fee-free publishing option. After all, it is not particularly technically difficult to convert a file into a page that’s viewable on the iPad. Apple already provides the libraries and the compiler to developers free-of-charge. All that someone needs to do is to provide the file converter to take InDesign (or whatever layout program used) files and format them properly for the target platform. 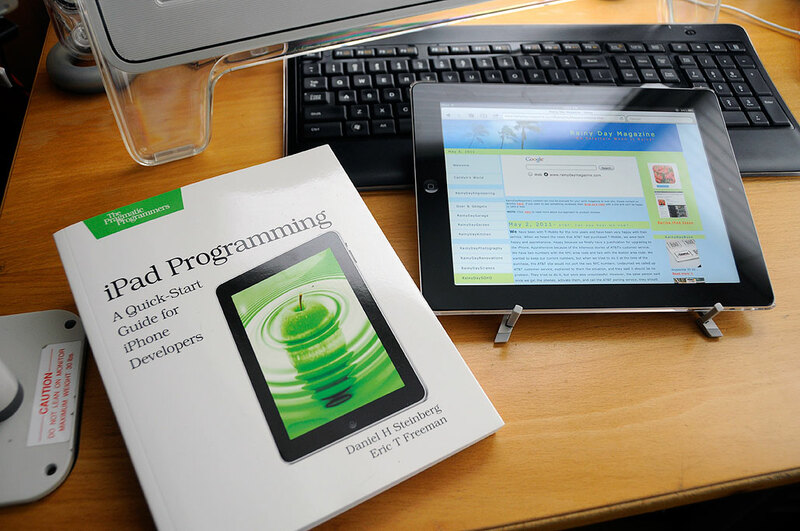 Until that time, we will probably have to take a break from publishing on the iPad platform and get back to learning about programming the iPhone and iPad directly. For those looking to do the same, we can recommend Steinberg and Freeman’s Quick-Start Guide. With that said, there are still some features of the Adobe DMP tools which we want to learn how to use. What we are going to try to do is to put out a few more issues before the deadline. This means that, in May, a few days may go by before something new is posted.